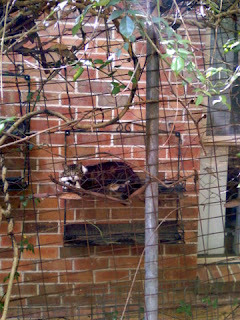 I'm always drawn to cats in cities...the way they can transform whatever's beneath them into a lounge. 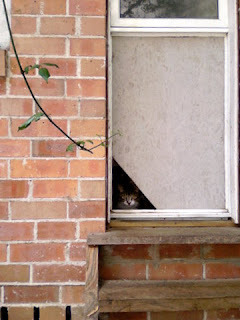 The stresses of city life don't seem to bother them. 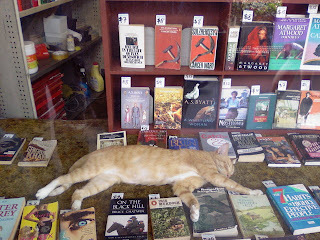 This cat belongs to the Newtown bookshop, Books on King, where books are just another interesting thing to lie about on. I saw this blue beauty on Brown Street. 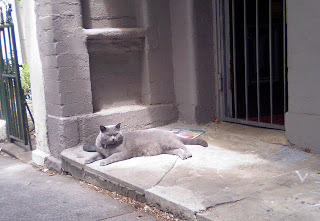 I liked the way her fur is coloured from the same palette as the blue-grey street and walls. 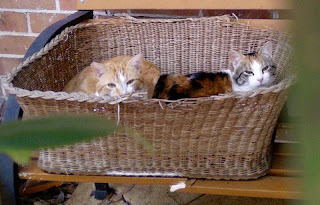 Finally, these are cats that live on the periphery of the city -- out in Hornsby. They are kept in a wire enclosure to prevent their attacking the wildlife.